Romney and Bain Capital: Why he’s so afraid of talking about what he did at Bain. Why Romney’s so afraid of talking about what he did at Bain. Mitt Romney seems genuinely stunned that President Obama would question the value of his proudest accomplishment, founding and running Bain Capital for 15 years (or maybe a little bit more). To Romney and others who work in finance, it’s self-evident that what private equity firms like Bain do is beneficial to the economy. Private equity firms buy underperforming businesses and restructure them. With new management and investment, some of these firms thrive while others fail. As a result, investment is allocated more efficiently. This is creative destruction in its pure form and if you question it, they say, you must not believe in capitalism. To Barack Obama and most liberals, it’s no less obvious that there’s something faulty about this model of financial capitalism as it has been practiced over the past 30 years. Leveraged buyouts, which are what private equity firms do, load companies with debt, extract value for middlemen, and displace workers. Heads-I-win, tails-you-lose practices in the financial sector, regulatory loopholes, and tax advantages produce runaway winners like Romney while middle-class workers lose ground. As the gap between economic victims and executioners grows, the resulting society becomes more unequal and unfair. Both positions in this argument—that Obama doesn’t believe in capitalism, that Romney doesn’t care about workers—are distortions. But after a week of skirmishing, Obama has the upper hand for reasons that go beyond the campaign-season truism that when one guy wields the hammer, the other guy looks like a nail. Here are five reasons why the Obama campaign wants this subject—what Romney did at Bain, when he left, what he had for lunch when he worked there—to stay front and center for as long as possible. 1. Obama is more eager to make his case about Bain than Romney is. The president is comfortable attacking the negative consequences, if not the fundamental concept of free-market capitalism: outsourcing and offshoring, shuttered factories, cheap Asian imports, declining middle-class wages. These have been familiar resonant notes for Democratic candidates for the past 25 years. Romney, on the other hand, doesn’t much want to defend creative destruction. He boasts about building Bain, but won’t discuss it in detail because it opens up a conversation about those same unattractive consequences: lost jobs, bankruptcies, private pensions dumped onto the federal government. In the case of China, Romney has tried to outhawk Obama, promising to launch what would amount to a trade war beginning his first day in office. When it comes to Detroit, Romney has backed away from his principled position that failed businesses should be allowed to fail. He’s in a corner, because he thinks it’s politically unsound to say what he really believes. 2. It’s not clear that private equity—like other forms of financial innovation—is good for America. You’d think that if private equity made businesses more efficient and valuable overall, there’d be clear evidence to support it, but there isn’t. Private equity firms earn most of their money through financial engineering. A big share of their returns comes from “tax arbitrage”—figuring out how to exploit loopholes to pay less to the government. Because interest is a deductible business expense, debt financing means they often pay little or no corporate tax. Private equity’s reliance on leverage can also magnify short-term earnings without leaving the companies they manage more valuable overall. One legal but dubious practice that private equity firms engage in is paying large “special dividends” out of borrowed money. As Jim Surowiecki of the New Yorker has written, “These dividends created no economic value—they just redistributed money from the company to the private-equity investors.” There’s some anecdotal evidence that the well-regarded Bain has been a better owner than most. But there’s no real way to evaluate that either. 3. Bain shows how Wall Street is rigged in favor of the rich. Private equity firms, like hedge funds, earn their money through a 2-and-20 structure, which means investors pay a 2 percent annual management fee, and give away one-fifth of their profits. According to one study, firms like Bain get two-thirds of of their earnings from fees charged to investors, rather than from the share of profits. According to another study, private equity firms managed to keep 70 percent of all investment profits for themselves, rather than paying them out. They’ve figured out how to be hugely profitable even if they aren’t successful, and even where firms they own go bankrupt. And because their gains come in the form of “carried interest,” private equity owners are taxed at 15 percent, rather than the top rate of 35 percent. 4. Romney’s Bain career is a story about rising inequality. It’s telling that George Romney, Mitt’s father, made around $200,000 through most of the years he ran American Motors Corporation. 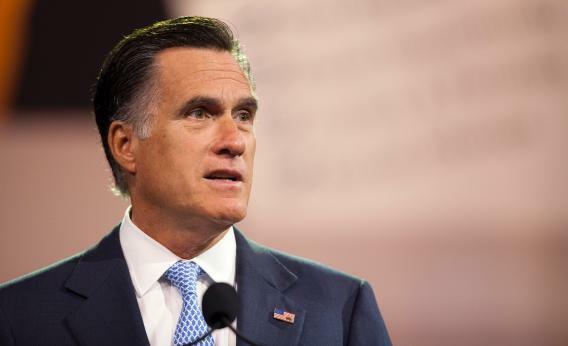 Doing work that clearly created jobs, the elder Romney paid an effective tax rate that averaged 37 percent. His son made vastly more running a corporate chop shop in an industry that does not appear to create jobs overall. In 2010, Mitt Romney paid an effective tax rate of 13.9 percent on $21.7 million in investment income—around 14 times as much as his father in inflation-adjusted terms. This difference encapsulates the change from corporate titans who lived in the same world as the people who worked for them, in an America with real social mobility, to a financial overclass that makes its own separate rules and has choked off social mobility. The elder Romney wasn’t embarrassed to explain what he’d done as a businessman or to release his tax returns. 5. Bain reminds everybody how rich Romney is, how different that makes him from ordinary people, and how this kind of advantage perpetuates itself. Five years ago, according to disclosure statements, he was already worth between $190 and $250 million, not counting another $70-100 million in trusts for his children and grandchildren, and not counting real estate worth tens of millions more. It’s not clear how he turned a maximum contribution of $450,000 over 15 years at Bain into an IRA worth between $21 and $102 million (where it grows tax free). Here’s some informed speculation. Once again, the details are mysterious even if his massive exploitation of a tax break meant to encourage middle class people to save more is not. There’s no reason to think that Romney, in his heart of hearts, favors a version of capitalism that subsidizes financial engineering and ignores the victims of economic transformation. As governor of Massachusetts, he created a subsidized insurance system that filled the biggest hole in the safety net, and became the model of Obama’s health care plan. Take away the political context, and one can imagine the two of them agreeing about a lot else as well. But in the milieu of today’s GOP, Romney can never acknowledge the need for a better safety net. Without one, the vision of capitalism represented by Bain Capital becomes even less appealing.